Ann Lam, Ph.D., is a senior medical research specialist at the Physicians Committee for Responsible Medicine, a nationwide organization of physicians, scientists, educators, and laypersons that promotes preventive medicine, especially good nutrition, and addresses controversies in modern medicine, including ethical and scientific issues in education and research. Dr. Lam is the lead architect and coordinator of the Physicians Committee's Alzheimer's project. She is spearheading the organization's efforts to advance new research strategies for understanding Alzheimer's disease and other dementias. Her global research collaborations aim to develop and advance human-based alternatives to animal research for prevention and therapy. Her work is helping create practical resources for researchers to evolve their methodologies into safer, more transparent, and effective medical science. Proceeding on basic science and clinical fronts, the project is forwarding the development of groundbreaking techniques including xeno-free stem cell methods, computational simulations, and metabolic and advanced imaging studies. 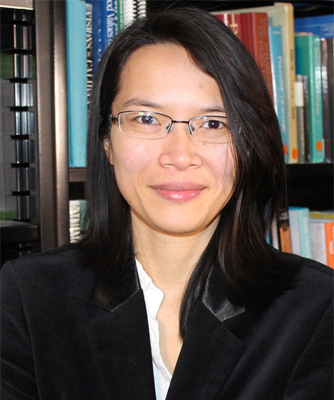 In addition to her work on Alzheimer's disease, Dr. Lam is also a director and founder of the Green Neuroscience Laboratory, which was founded to address the current state of neuroscience. Specifically, the goal of Green Neuroscience is to pursue advanced brain research that incorporates theoretical frameworks, ethical awareness, and an appreciation of neurodiversity. Dr. Lam's research has focused on brain development and a range of cognitive conditions including Williams syndrome, aging, and epilepsy. She is currently working on developing an open atlas of brain metals to study the relationship between biometals and cognition via synchrotron imaging (i.e., using a particle accelerator). Dr. Lam's findings have been published and presented in a wide range of scientific journals and international professional meetings. Her pioneering work on environmental and nonanimal neuroscience research has also been featured in the press including the New York Times and the Humane Society of the United States' All Animals magazine. Prior to joining the organization, Dr. Lam also co-authored a number of papers with the Physicians Committee, outlining the strategic recalibrations and moves toward human-based science needed if significant progress is to be made in the field of dementia research. Dr. Lam received her Bachelor of Science in toxicology from the University of Toronto and a doctorate in anatomy and cell biology at the University of Saskatchewan in the Neural Systems and Plasticity Research Group. Concerned with the limitations of animal models and the impact on animal well-being, Dr. Lam moved from animal work to direct human research. Her post-doctoral training was at the Salk Institute for Biological Sciences in the laboratory for Cognitive Neuroscience and at the University of California San Diego. She now mentors the next generation of scientists to help them become leaders in research that is environmentally, socially, and ethically responsive. Scientific and ethical principles exist to drive us to improve our research methods, scrutinize our biases and findings while also demanding that we recognize and address the individual, societal and global impact of our endeavors. However, the long-standing and repeated inability to find disease-modifying therapies in neurological conditions that affect millions of individuals requires a serious rethink of our approaches. We must face the repeated and profound failure to meet basic scientific and ethical benchmarks. For example, the failure to find disease-modifying therapies in brain conditions such as dementia and epilepsy following decades of animal experimentation underscores the terrible consequence of this dependency. The findings and reasons that show how the reliance on animal research has led to failure have been well documented. However, in this presentation I aim to go beyond the arguments of opposition and descriptions of failure and instead demonstrate how burgeoning human-based approaches are already proving to be superior to animal experimentation both ethically and scientifically. In particular I will briefly survey breakthrough human-based techniques including: (i) xeno-free stem cells (ii) human-based tissue studies (e.g., with resected surgical and postmortem tissue) and (iii) generative computational approaches. I will discuss how some of these techniques can be applied in epilepsy and dementia research combining decades-old methods with cutting-edge approaches (e.g., synchrotron imaging). I will also highlight how these can address scientific pitfalls that are reappearing in new forms such as xeno-contaminations, chimeric models and reductive thinking. Together, the new techniques and insights help foster the ethical and scientific paradigm shifts necessary in our quest for precision medicine, health and basic understanding of the brain and ourselves. In der Teilnahmegebühr enthalten sind Getränke, Snacks und ein warmes Mittagessen. Alle Speisen und Getränke sind vegan. Kosten für nicht eingenommene Mahlzeiten können leider nicht erstattet werden. Die Vorträge werden auf Deutsch oder Englisch gehalten. Für englische Vorträge wird eine Simultanübersetzung angeboten. Ärzte gegen Tierversuche e.V. ist als gemeinnützig und besonders förderungswürdig anerkannt. Spenden und Beiträge sind steuerlich absetzbar.